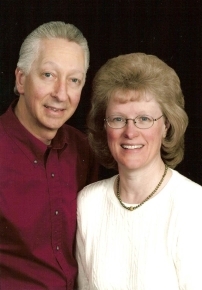 Ken and Bonnie Moldenhauer and staff welcome you to Branson, Missouri. Come stay with us and enjoy your Branson experience in a place you will want to come back to again and again. Stonewall West Motor Inn has been serving visitors to the Branson, MO area for more than 30 years. We specialize in providing clean, affordable and conveniently located accommodations. Our friendly, quality service will provide you the comfort you are looking for while you enjoy the Branson area. Stonewall West Motor Inn is located near historic downtown Branson. It is the perfect destination for travelers looking for a clean, comfortable and relaxing venue. Stonewall West Motor Inn is the perfect motel choice for your visit to Branson. Stonewall West Motor Inn is conveniently located near some of Branson's finest attractions. The motel is a short distance to restaurants, shopping, museums, and a variety of theaters. Prepared with you in mind, the comforts and amenities of Stonewall West Motor Inn make it not only a great choice in motels, it is an outstanding value. downtown Old Branson, the freeway, all shows, shopping, amusement parks, etc.